The Bentley Continental GT may be a good-looking luxury grand-tourer, but it also makes a heck of a race car. The Continental GT3 foregoes Bentley's focus on subtlety, turning the dial up to 11 to comply with FIA specifications, and it's already a hotshot. Since its debut in 2013, the original GT3 has secured 45 wins and 120 podium finishes, and the second-generation wants to raise that bar even higher. 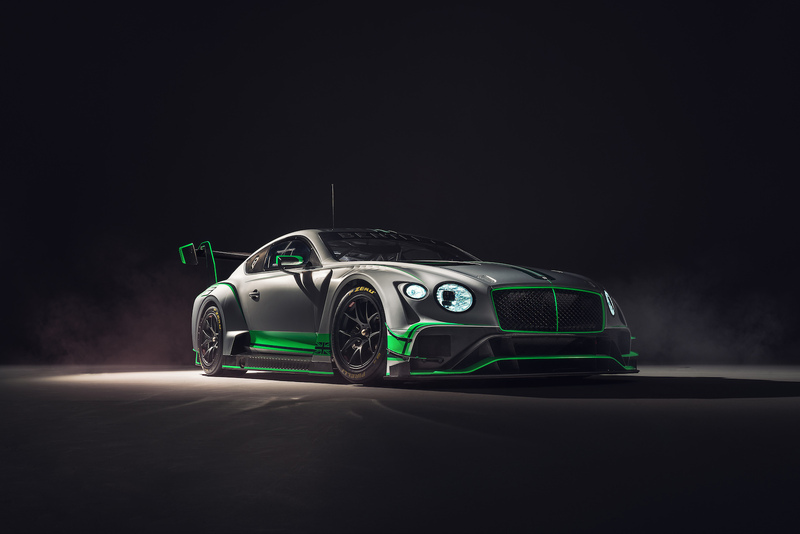 The all-new Bentley Continental GT3 will debut for the 2018 racing season, specifically for endurance racing championships. Bentley is eyeing the Blancpain GT Series Endurance the most, and thus the new GT3's inaugural race will occur at Round 2 of Blancpain at Monza on April 22. 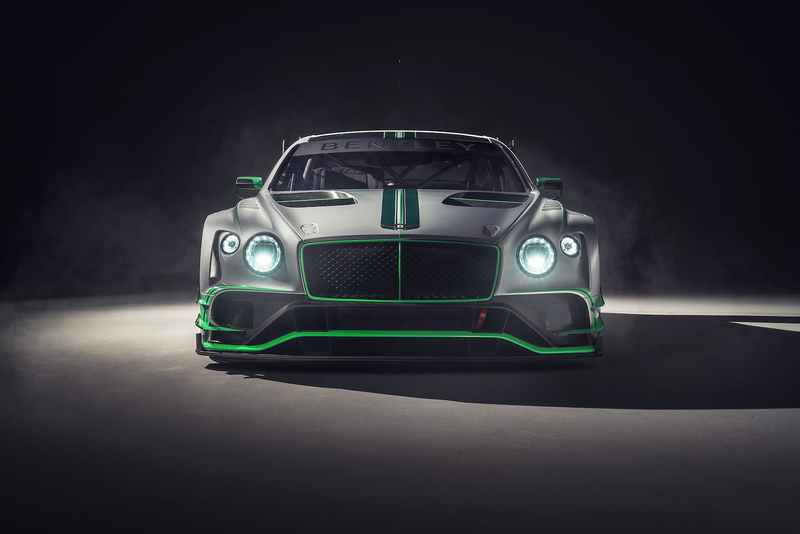 This is also the first time Bentley's GT3-spec cars will participate in the Intercontinental GT Challenge. 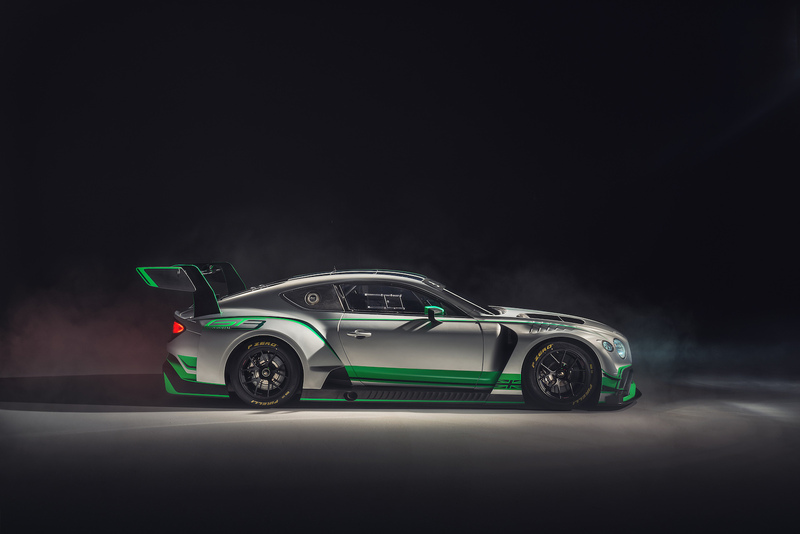 Bentley Motorsport is currently working with the M-Sport technical team to develop the new Continental GT3, which is currently in the middle of a rigorous six-month testing period in Europe to prepare it for 24-hour endurance races. 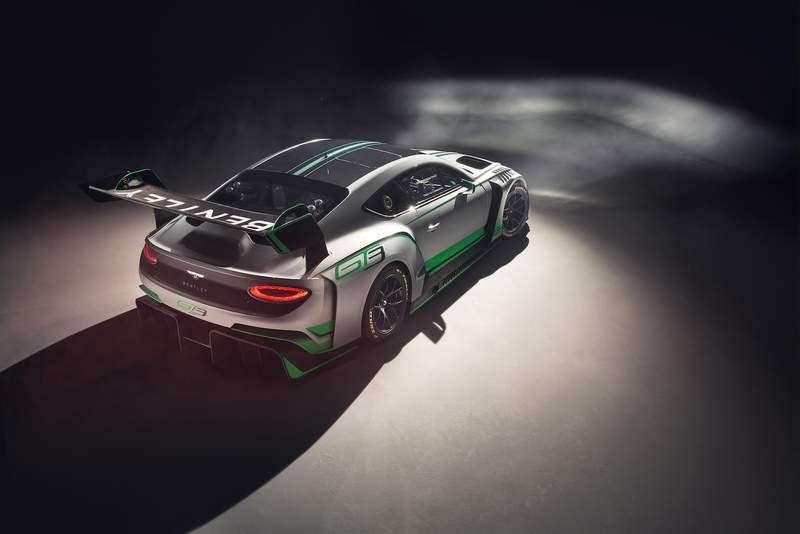 The Continental GT3 shares little with it's road-going brother besides its name and aluminum chassis, helping it weigh less than 2,866 pounds (Bentley won't tell us the exact number), compared with the fully-loaded luxury GT's 5,000-plus pound curb weight. It also ditches the GT's 6.0-liter W-12 engine for a twin-turbocharged, 4.0-liter V-8 producing more than 550 horsepower. The GT3 also sports a brand new intake, exhaust, and dry-sump oil system. 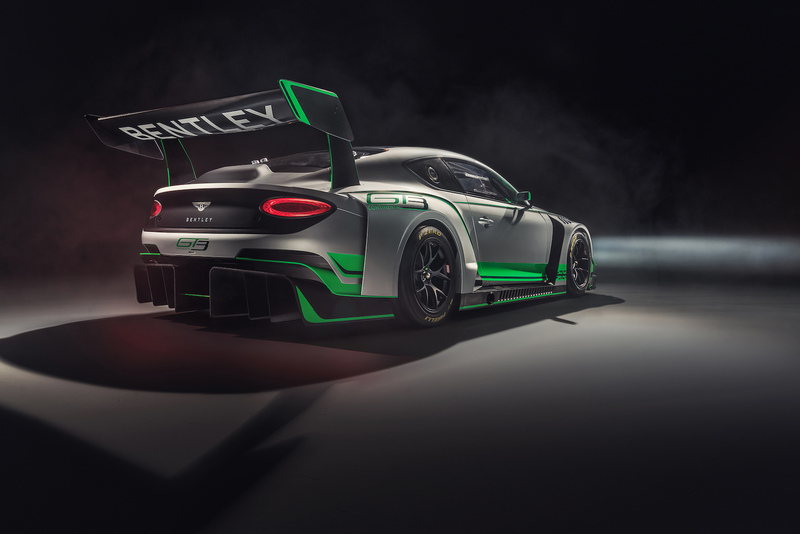 Customers can purchase the new GT3 race car starting June 2018, although Bentley won't say for how much yet. We'd also love to know what that drop-dead gorgeous green-on-silver color scheme is called.